www.nfdma.com – The Official Website of National Funeral Directors & Morticians Association, Inc.
articdesigns.com – Website Development and Hsoting Services. 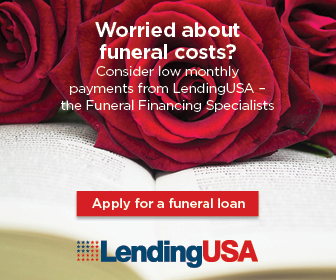 Lending USA – Worried about funeral cost? Consider low monthly payments from Lending USA – the funeral Financing Specialists.